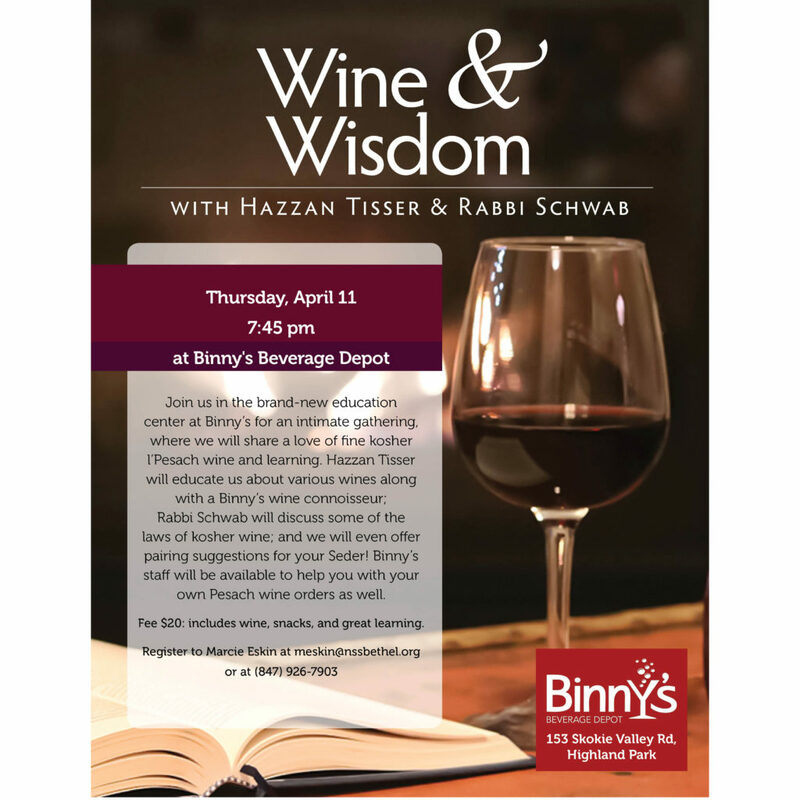 Join us in the brand-new education center at Binny’s for an intimate gathering, where we will share a love of fine kosher l’Pesach wine and learning. Hazzan Tisser will educate us about various wines along with a Binny’s wine connoisseur; Rabbi Schwab will discuss some of the laws of kosher wine; and we will even offer pairing suggestions for your Seder! Binny’s staff will be available to help you with your own Pesach wine orders as well. Fee $20: includes wine, snacks, and great learning. Register to Marcie Eskin or call (847) 926-7903.